After a 10 year bull market in equities, private equity (PE) is now looking for all the “lonely people” who haven’t yet joined the alternative investment party. U.S. equities certainly aren’t cheap today, but there are other areas of the economy and investment world that are closer to bubble territory. In its insatiable hunger for more investors, PE is now pitching average retail investors—The Joe Sixpacks—as aggressively as lending companies served up zero down, no doc mortgages to the masses on the eve of the global financial crisis a decade ago. We all know how that story turned out. In a recent Wall Street Journal interview, Securities and Exchange Commission Chairman Jay Clayton, said the SEC wanted to make it easier for individuals to invest in private companies, including some of the world’s hottest startups. These “opportunities” were once reserved for institutional investors and ultra-high-net-worth individuals. Dear Average Investor, Run like hell! Needless to say that even if the rules overhaul goes through, Joe Six Pack will not be offered the same type of private equity fund or venture capital fund that the Harvard Endowment is offered. I’ll also go out on a limb here and say these offerings may be a little too complicated for most investors to understand. Trust me. I’ve been working in the investment world for over 20 years and I still struggle to grasp the fees and valuations methods of the private world. This latest development could well signal the top of the current private investment boom in the U.S. There are now 2,700 private market managers in business today, up from number of 502 less than 20 years ago. (Source: Preqin)This reminds me of the boom in hedge funds in the 1990s which saw the market grow to 12,000 managers from 500 in a short span of time. Not surprisingly, alpha disappeared as too many managers were chasing the same ideas. The same scenario could likely play out in the private world today. As you can see in the chart below, hedge funds generated a lot of alpha during the 1990s when there were relatively few players in the market. 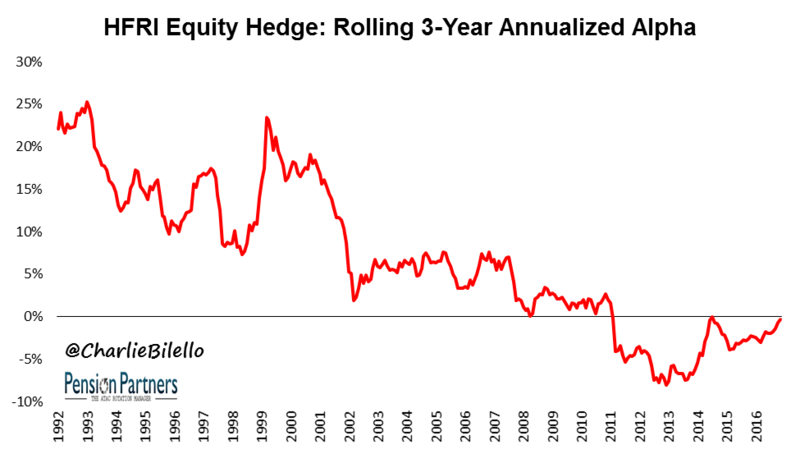 But after 2000, the number of new hedge funds exploded and returns predictably went south. Is private equity getting too big? According to Cambridge group, PE returns have lagged the Russell 2000 by 1 percent and the S&P 500 by 1.5 percent for the past five years. 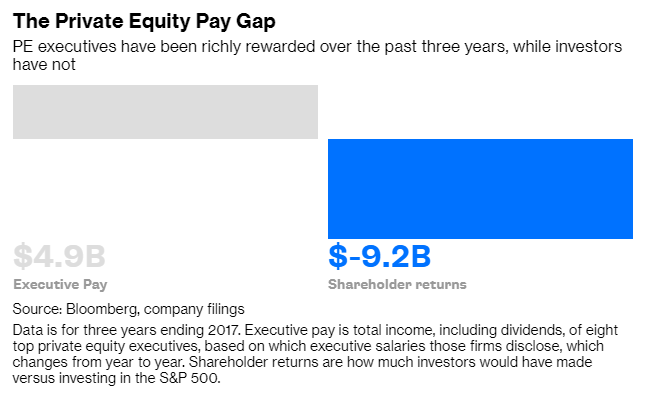 In 2015, eight executives at the four publicly traded private equity firms (BX, KKR, CG and APO) made a collective $1.9 billion while shareholders in those same private equity firms lost a collective $13.7 billion. Institutions are adding $200 billion per year to private investments, thus leaving private equity with $1 trillion in excess cash to spend. At, the end of the day, there are simply not enough deals at reasonable valuations to satisfy demand. It reminds me of 2008-09 when institutions piled into hedge funds just as their alpha generation was disappearing. But, PE funds are not paid to hold cash. They need to pay high valuations with a big bet on future growth. Another big issue is that PE deals are debt dependent. The average PE deal is 65 percent debt-financed in addition to having an opaque valuation system. How will a bear market in bonds affect private offerings? As Daniel Rasmussen explained in American Affairs Magazine, PE firms typically double the debt on their balance sheets from 2.5-times EBITA to 5-times EBITA so they are significantly more levered than a typical public company. Rasmussen said studies from the Canadian Pension Plan Investment Board (CPPIB) and the Abu Dhabi Investment Authority (ADIA) found the average ratio of net debt to enterprise value at inception is around 65 percent. By contrast, the typical Russell 2000 small cap stock is levered at about 16 percent and the typical Russell 2000 large cap stock is levered at about 18 percent. 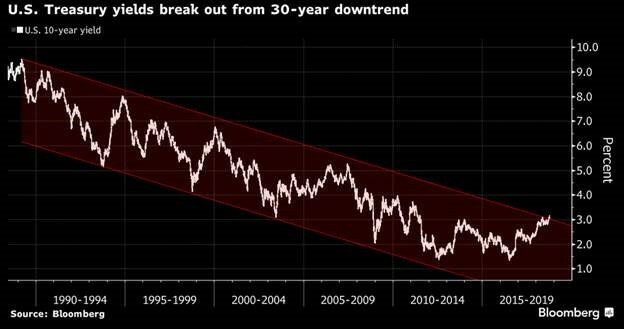 From where I sit, it seems we may finally be entering a rising rate environment as the 10 year U.S. treasury yield breaks out from a 30 year downtrend. If a bond bear market is underway, highly leveraged companies (particularly small companies with volatile cash flow) will be weighed down by the cost of debt. Also, high investment activity in the private world is driven by easy access to credit—something that may be getting harder for PE managers to get in the future. On top of that, middle market growth companies, previously the most lucrative segment of the private equity world, are seeing the most competition as big PE firms move downstream in search of returns and as family offices increasingly bypass funds so they can invest directly in companies. This trend has lowered estimates of future returns with longer holding periods. Investors with recent vintage years now may be held up longer than the average American marriage lasts. Compare that to small cap value funds that often generate higher returns and can be redeemed within one day while costing only 25 basis points. Companies that rely on leverage will see their valuations sink. The real leverage is private lending. According to Pensions & Investments (P&I) Magazine, total commitments in 2017 to private lending were 617 percent higher than the $4 billion tracked by P&I in 2010. 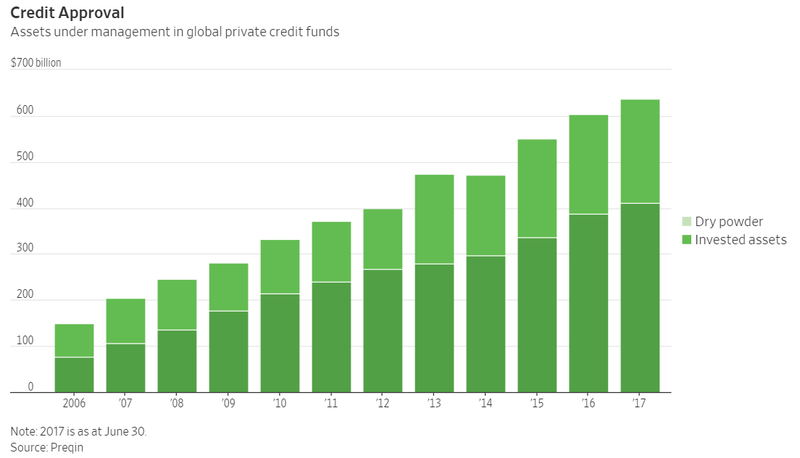 Private credit funds now run three times as much money as they did in 2007. Although default rates are low, interest rates have been benign. On top of that, we know that most lenders will keep playing until the music stops. 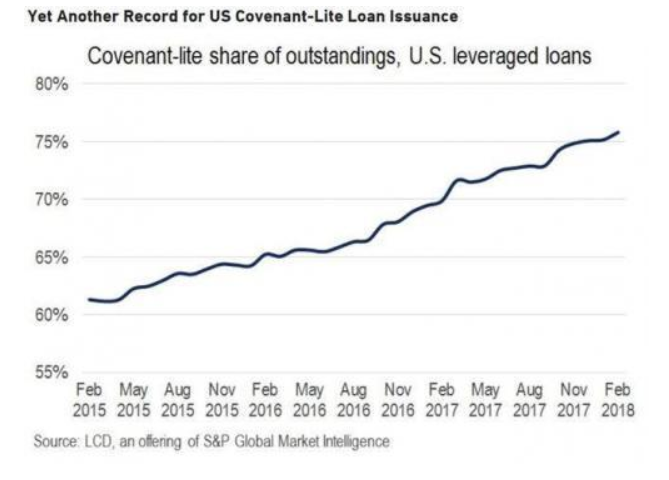 It appears the discipline in lending standards has broken down as “covenant lite” leveraged loans hit another record. A private equity market, already bloated with record inflows, is now being offered to the general American public at a time when interest rates are moving higher and the investing discipline is breaking down. When you see a 600 percent increase in money flows, loan covenants disappearing and valuations hitting record levels, PE is not what the average retail investor needs in his or her 401(k) plan. I have nothing against private equity. Many PE many firms have admirable track records and private equity is also an awesome space to drive the economy as capital flows to small business. But, everything runs in cycles. Money tends to flow to where it’s treated best–until the music stops. 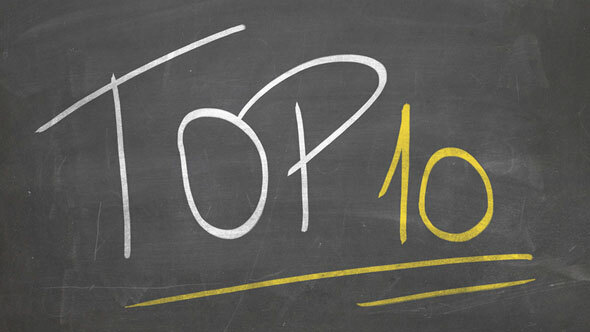 Now is a great time to be a seller to private equity, but I wouldn’t include PE in your 401(k) plan. Instead, wait until the headlines trumpet the death of private equity. As Warren Buffet likes to say: “Buy when there is blood in the streets,” not when it’s raining covenant lite loans and 14x EBITA buyouts. For all the lonely people who feel left out of cool private investments, save yourself a lot of money and stress: Go buy a small cap value fund at 25 basis points. You’ll sleep a lot better and have more in your pocket.